The shape of the pavilion gives it a strong and identifiable character. The folded lattice structure of the roof rises up towards the square forming a large canopy that gives the building a weightless appearance. The canopy provides shelter over the terrace of the pavilion and offers a great space for events. 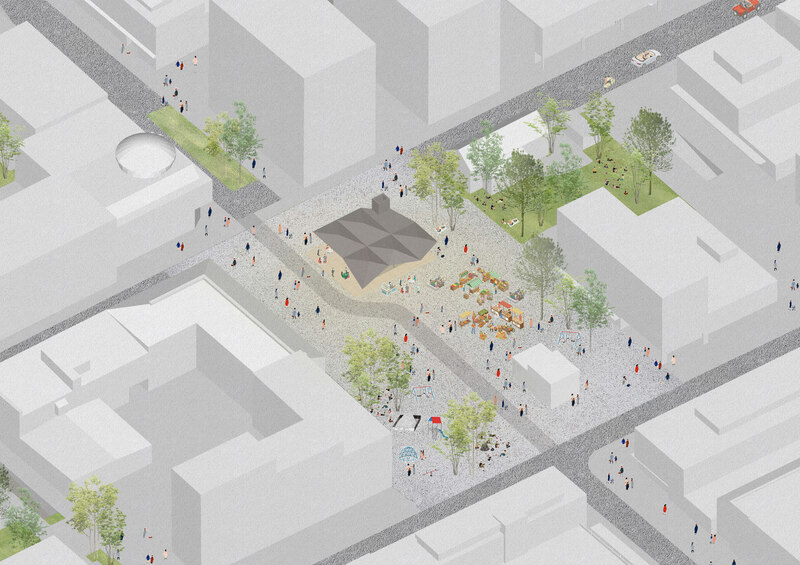 The stone surface of the square continues uninterrupted under the canopy creating a smooth transition between the public space of the square and the space of the pavilion. The façade of the pavilion is of glass and wood. The glass walls create an impression of continuity of the public space of the square inside the pavilion. In the evening time the pavilion appears like a lantern radiating light in the urban space of the Central Square. The folded surfaces of the ceiling are clad with wood and they flow seamlessly from the exterior into the interior. The roof is clad with copper, and copper is also used as cladding for the walls in the parts where the walls are not of glass. The main structure is a hybrid of steel and wood, which makes it possible to optimize the number of pillars supporting the roof. 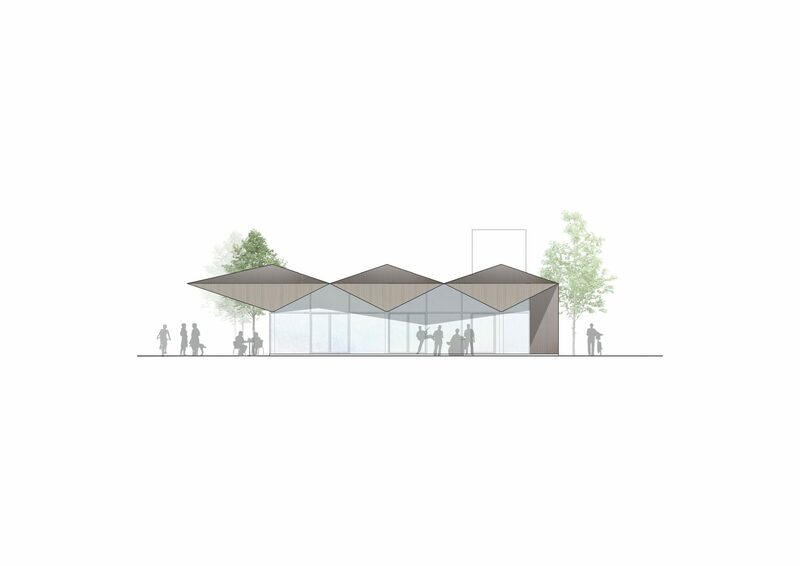 The lattice structure of the roof joins the steel with the wood emphasizing the weightless appearance of the pavilion. 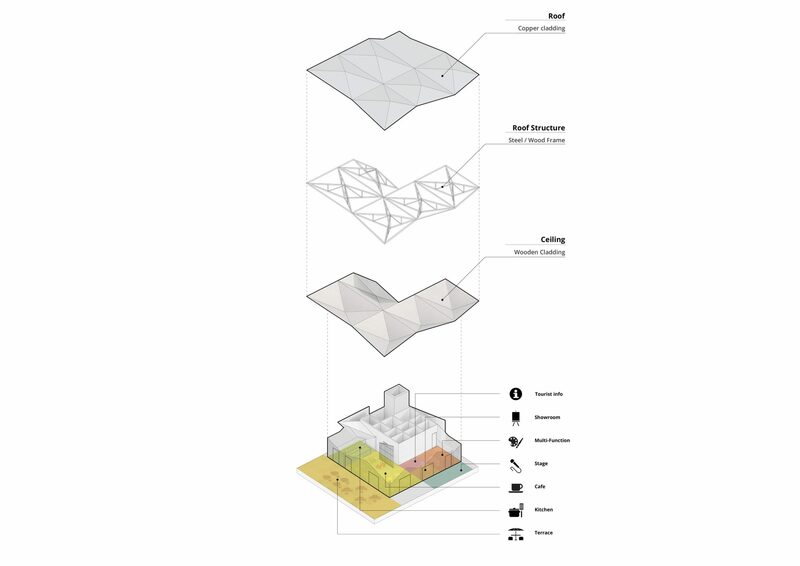 The functional organization of space in the pavilion is designed to align with the activities on the square. There is a café that opens to the square with a southern orientation. 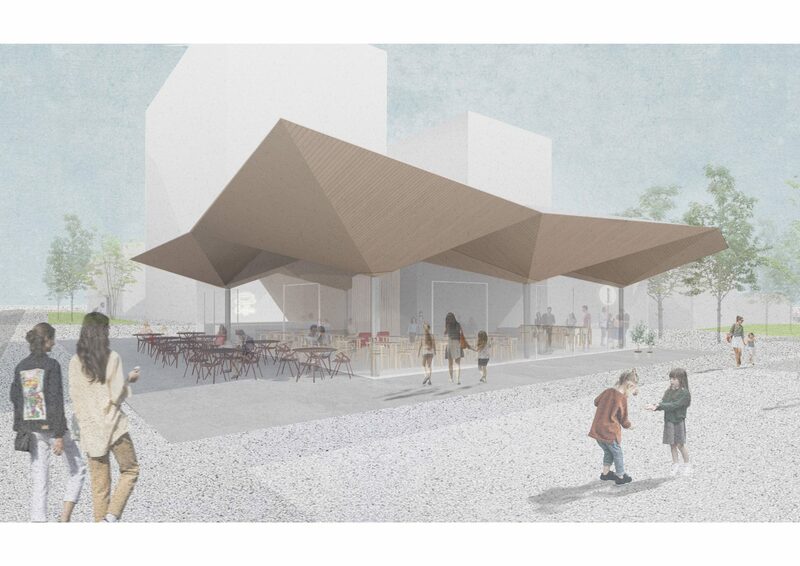 Next to the café there is a multifunctional space that can be joined with the café, and which also connects with a stage and terrace area under the canopy. An open kitchen is conveniently located so that it can easily serve both the café and the multifunctional space. 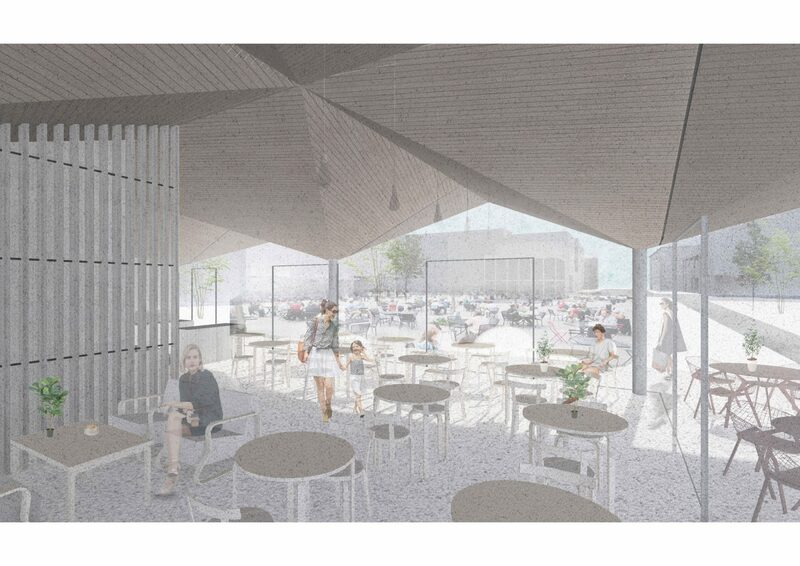 The washrooms and social spaces for the staff have been realized as a combined unit in the northeastern corner of the pavilion allowing for a maximum capacity of adaptive use.